Find beauty and tranquility in the Abendroth Japanese Garden. A sheltered building called the "Abzumaya" provides shelter for the quiet contemplation of this idealized representation of nature’s perfection. 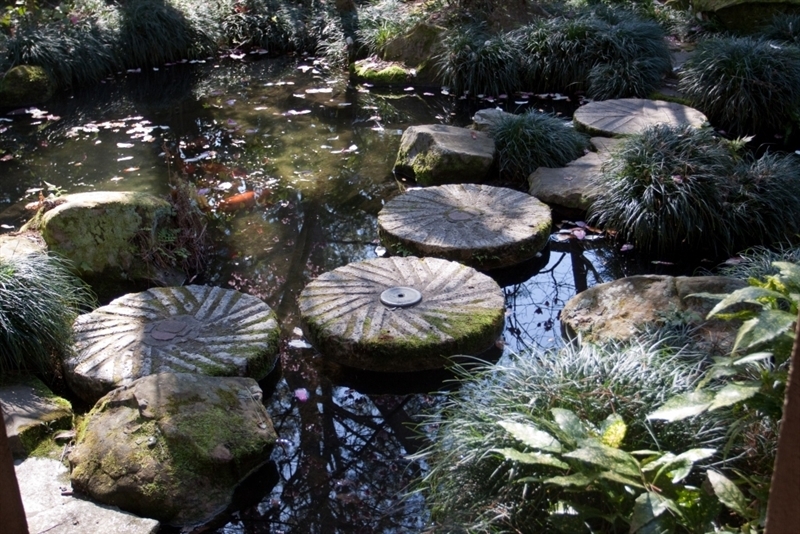 Stroll the path around the garden, passing over the pool on floating millstones. Enjoy the Koi gliding by through the placid water and the changing scenery from different vantage points. Be soothed by the gentle murmur of water cascading through the exquisite stone work. A visit to this garden is an opportunity to nurture your inner spirit. This garden was donated by Evelyn and Ab Abendroth to honor their children and their families. (Joe and Missy Abendroth, Marilyn and Bob Tarpy, and Tim and Julie Abendroth) It was dedicated on November 1, 1986.